First Novels Club: Where She Went Day Is Here! You guys! It's here! 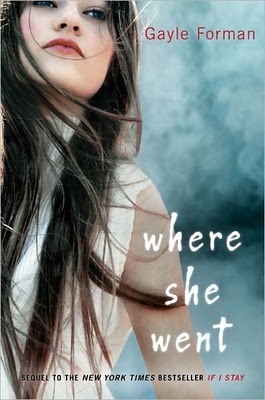 Where She Went is out in stores! You can buy it, borrow it, download it (legally!!!!! ), listen to it, read it, hug it, and love it over and over and over again. And if you're me and Janine....you're going to see Gayle Forman tonight at her launch! Happy Release Day, Gayle! We are so happy for you. Also check out her hilarious blog post today about her crazy schedule leading up to tonight's launch party. BTW--What she chose to do at 11:30 has me squeeing from inside out. So stay tuned--we'll be tweeting live from her launch and bringing you a post of recapping goodness! I am giving away a finished copy of Where She Went on my blog! I was so excited for it I had bought two!